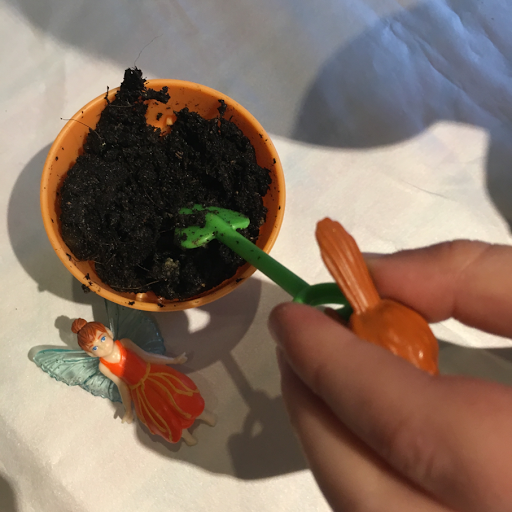 The kit comes with a little plastic plant pot, a mini spade, a little bird to sit on the spade and some 'magic' beans. 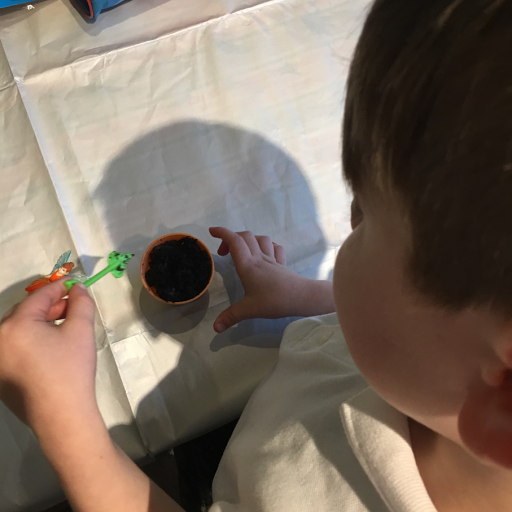 The kit does not come with any soil, but the little spade which is enclosed comes in handy for planting up the beans. 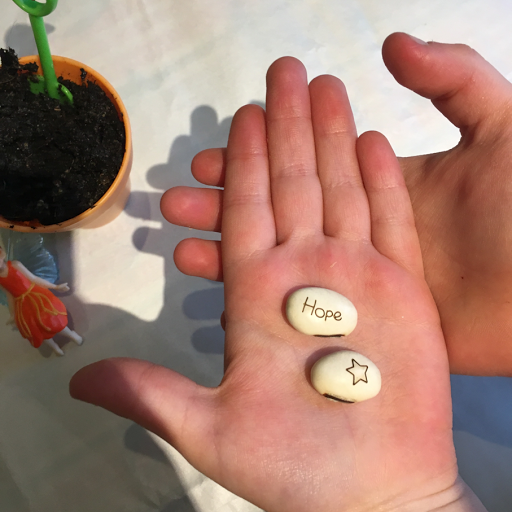 We were sent the fairy 'Hope' whose name is embossed on one side of the beans and a star on the other. 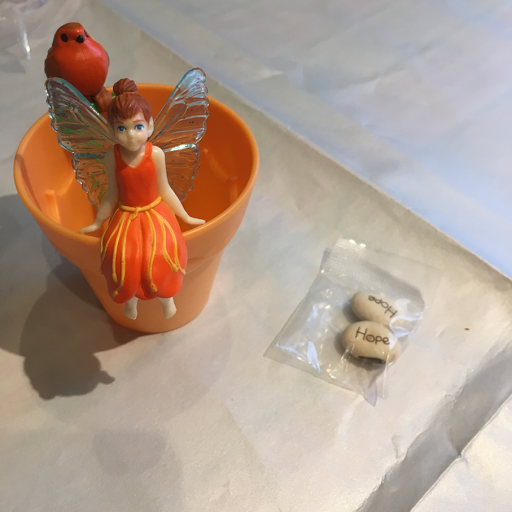 For now, our beans are in the warmth of our kitchen with Hope and her robin protecting them! 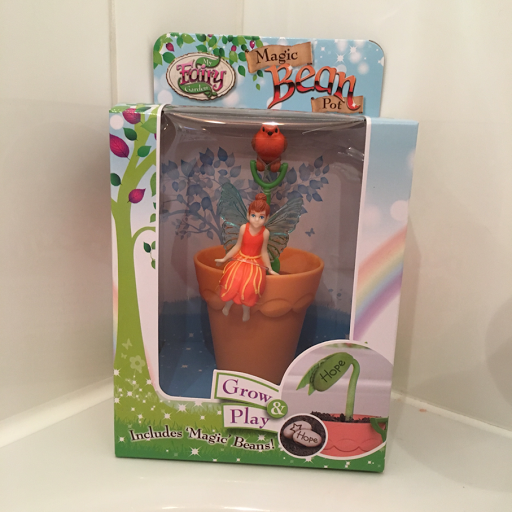 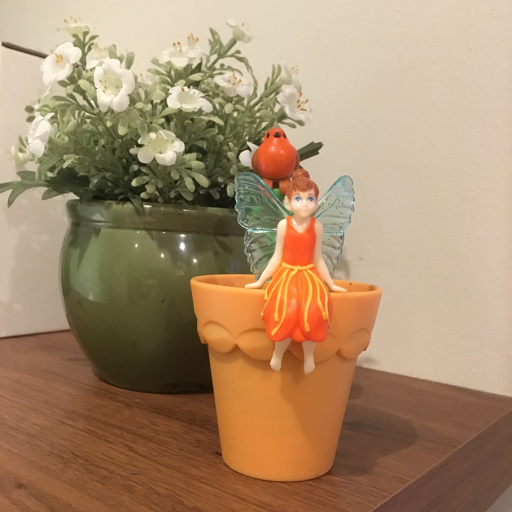 Magic Bean Pots are £6.99 and are available along with the rest of the My Fairy Garden range from Amazon. 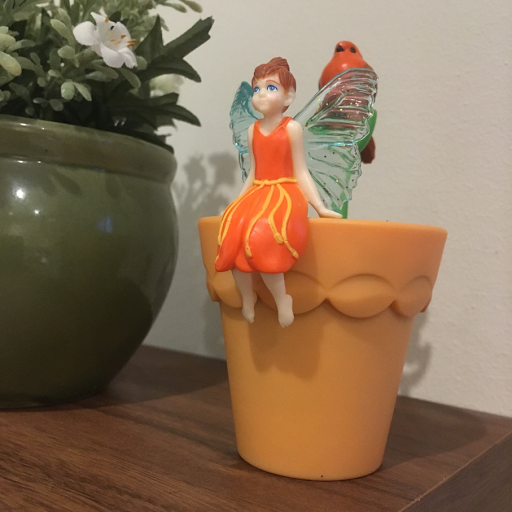 Disclaimer: we were sent this item in return for our honest review, all words are my own.